On Day 5 of the Shreemad Bhagavatam course, Paramahamsa Sri Swami Vishwananda tells the epic story of Lord Rama, the seventh incarnation of Maha Vishnu who is known for His virtue and honour. Sri Swami Vishwananda captures the primary details of Sri Rama’s life in order to paint a clear picture as to who the Ram Avatar is. The story of Rama also helps to build a foundation for the Krishna Avatar, who is the primary deity of the Shreemad Bhagavatam. Supplement to the story of Sri Rama, Swamiji delivers a concentrated discourse on the Parashuram Avatar, who was the incarnation of Maha Vishnu that preceded Sri Ram. The discourse ends with the beginning of Lord Krishna’s life and includes a few stories from His childhood. On Day 6 of the Shreemad Bhagavatam course, Sri Swami Vishwananda shares insights into the Leela’s of Sri Krishna. Swamiji covers the most well-known stories that exemplify the sweetness and hierarchy of Lord Krishna. As a baby, Krishna was accused of eating mud, but when mother Yashoda asked Krishna to open His mouth, instead of seeing mud, she was given the vision of the entire universe. Like this, in Day 6 of the Shreemad Bhagavatam course, there are many narratives that capture the pastimes of Krishna. Not to mention, Day 6 also includes a verse-by-verse commentary on the Gopi Gita and commentary on the Raas Leela. From conquering the demons Aghasur, Bakaasura, Kaliya and more, to growing older and teasing the Gopis by hiding their clothes, the Leela’s of Krishna are unique and at times, a mystery. Sri Swami Vishwananda explains the unseen depths of these stories by giving us the context of Krishna’s actions, as well as, the practical lessons that can be applied to our spiritual path. 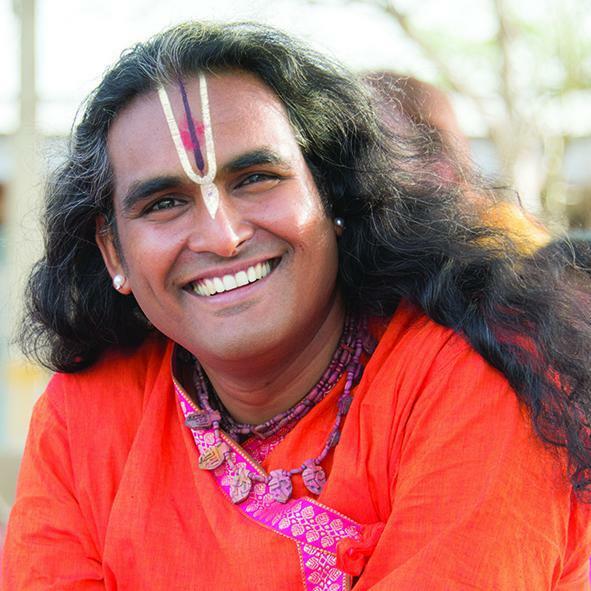 In the summer of 2015, Paramahamsa Sri Swami Vishwananda, a fully realised spiritual master and the founder of the Bhakti Marga movement, gave an extensive course on one of the most highly regarded scriptures in all of Hinduism, the Shreemad Bhagavatam. If you are new to this classic text, the Shreemad Bhagavatam is a series of stories that describe the many incarnations of Maha Vishnu (especially the one known as Krishna). The entire text illustrates our devotion to God, our relationship with God, and our eternal connection to God. 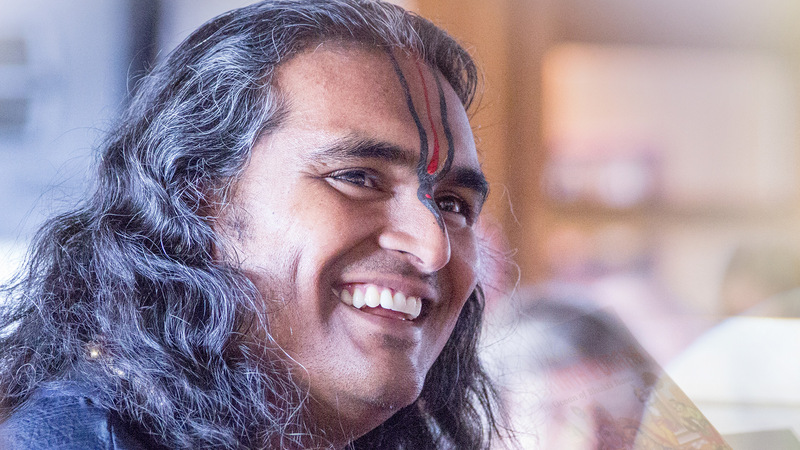 Join Paramahamsa Sri Swami Vishwananda as he brings the Shreemad Bhagavatam to life, and shares his unique perspective on this ancient text for a modern-day audience. Over the course of seven full days, you will hear him explain the profound meanings found in this classic scripture, and how they relate to issues we face every day. He dives into the drama of the stories, and captures the scenes so vividly you can almost imagine yourself there too. Meant for seekers and devotees alike, these discourses present a deeper understanding of this time-honoured Indian text. Beyond comprehension, however, is a powerful ancient promise connected with the Shreemad Bhagavatam: that when you listen to the entire Shreemad Bhagavatam told like this, you don’t just get informed—you get transformed. when we turn to the Divine with our good and with our not good qualities, He will accept us because He loves us. He is calling all of us to Love the same way He Loves, but yet our mind is a big barrier. All Holy Scriptures, all the Scriptures talk about the Love of God.